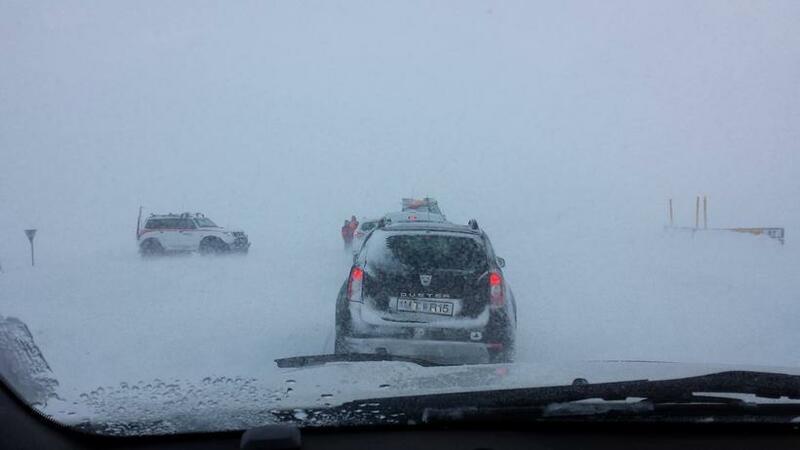 A group of eleven foreign visitors had to be rescued by Icelandic search and rescue teams yesterday afternoon – after ignoring road closure signs and getting mired in deep snow. Authorities had closed off the road in the eastern valley of Langadalur because of poor weather, and were therefore rather surprised to receive a distress call from the area. By all accounts, the group of intrepid tourists were undeterred by the road closure signs and drove onto the closed road – resulting in all their vehicles getting stuck in the snow. Local rescue teams were deployed to rescue the stranded travellers, who were taken to safety and warmth in a nearby area.